As a mother to two boys, I want to make sure I introduce them not only to male, but also to strong female role models. Of course, I like to think that I am a role model to them too, but I am talking about women, both contemporary and from history, who have achieved great things but have often been overshadowed in a male dominated world. I recently introduced them to the book ‘Fantastically Great Women Who Changed the World‘ (affiliate link) – written be a descendent of Emmeline Pankhurst! – and my 7 year old was really interested in it. 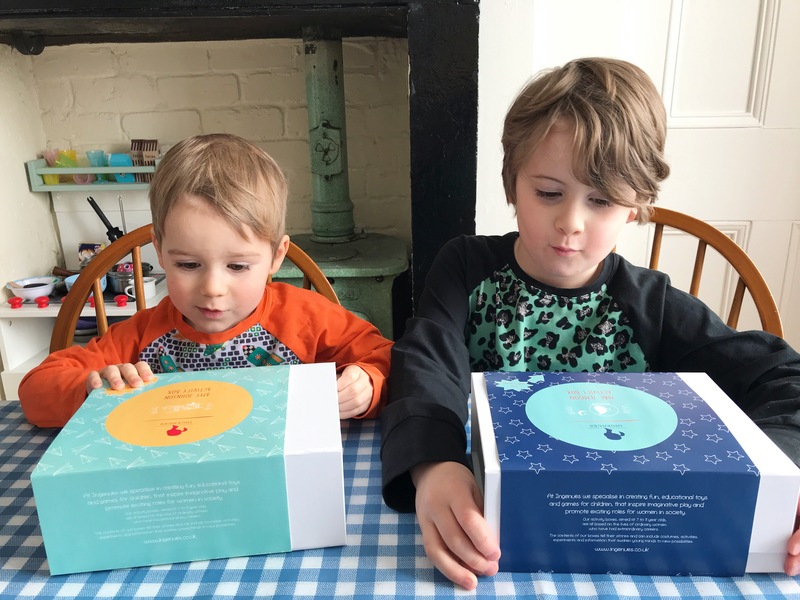 So I was pleased to be invited by Ingenues to test two of their activity boxes with my boys. Ingenues is the brainchild of Isla Macneil, is response to her daughter’s desire to be a builder or engineer when she grows up. 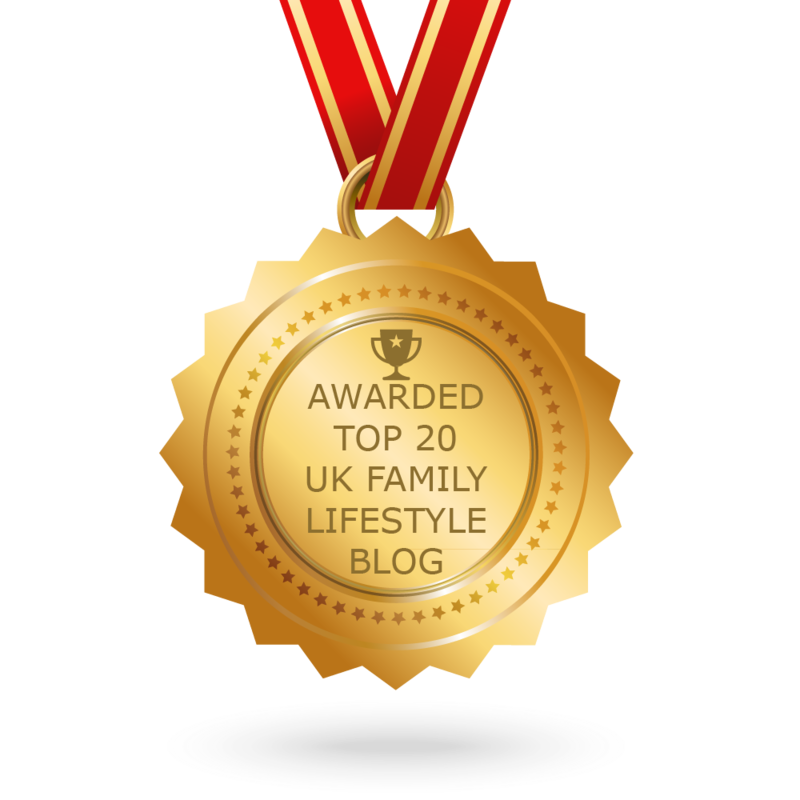 Isla was saddened that her daughter thought you needed to be male to be any of these things, and created Ingenues to showcase some wonderful, inspirational female role models. 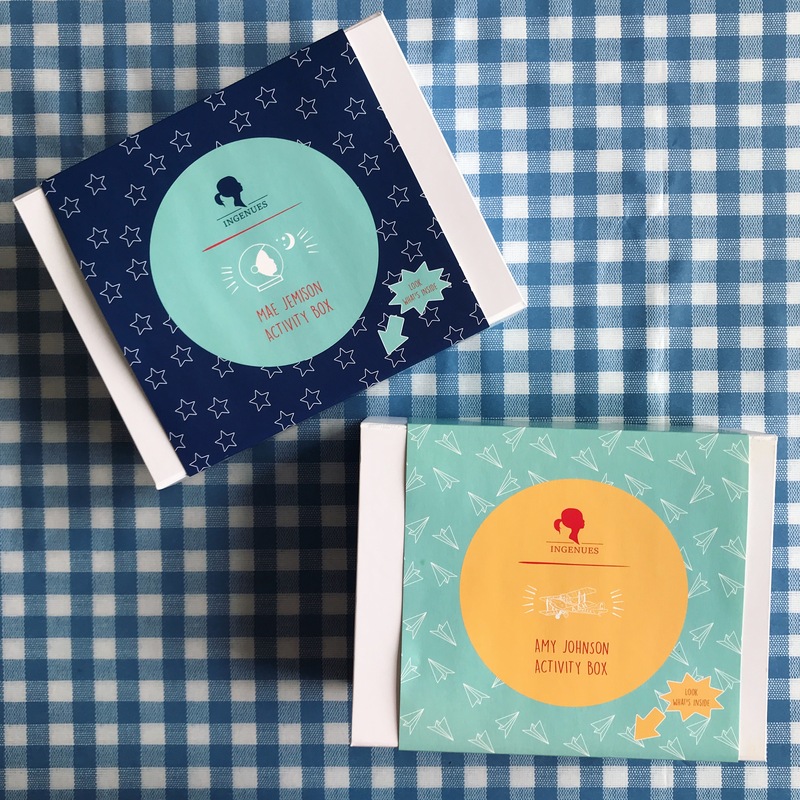 Each activity box is about a different inspirational female figure, and introduces children to their story and exciting career. We were invited to test the Amy Johnson and Mae Jemison activity boxes. 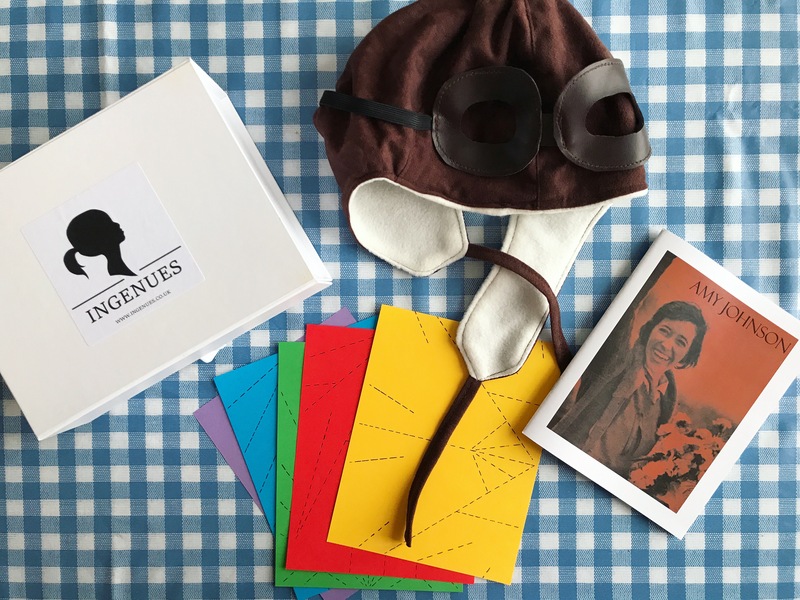 Each beautifully wrapped box contains an experiment, a 38-page activity book, and a dressing up item – in the case of Amy Johnson it was a pilot’s hat & goggles, and for Mae Jemison an astronaut hat. 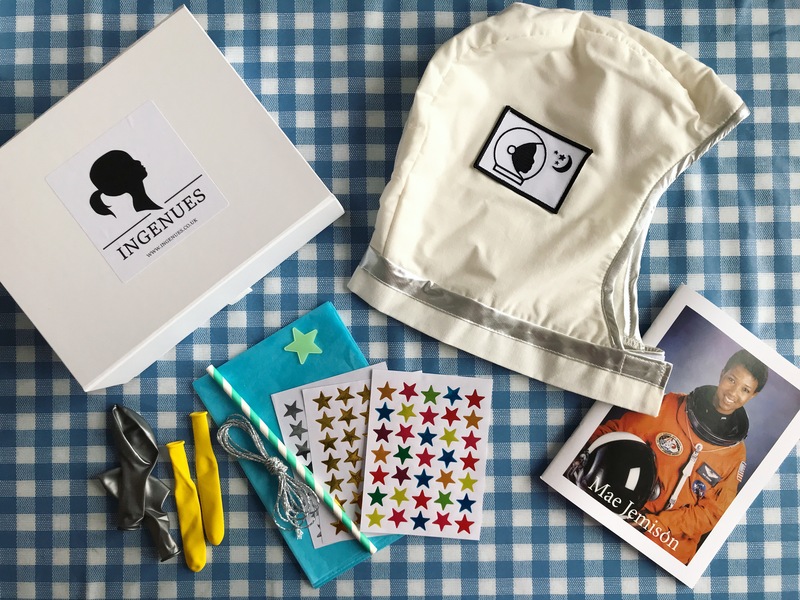 If you don’t fancy dressing up, the activity kits (consisting of experiment + booklet) and hats are also available separately, and there is also a smaller more close-fitting version of the pilot hat available for the under 3s. The astronaut has a velcro fastening, so is adjustable. I brought the boxes out when we were housebound in the middle of Snowmageddon a couple of weeks ago, and they were perfect for warding off the onsetting cabin fever. The activity boxes are aimed at 7 to 11 year olds, but of course my 3 year old wanted to be in the middle of things too, so I gave them each a box to open. 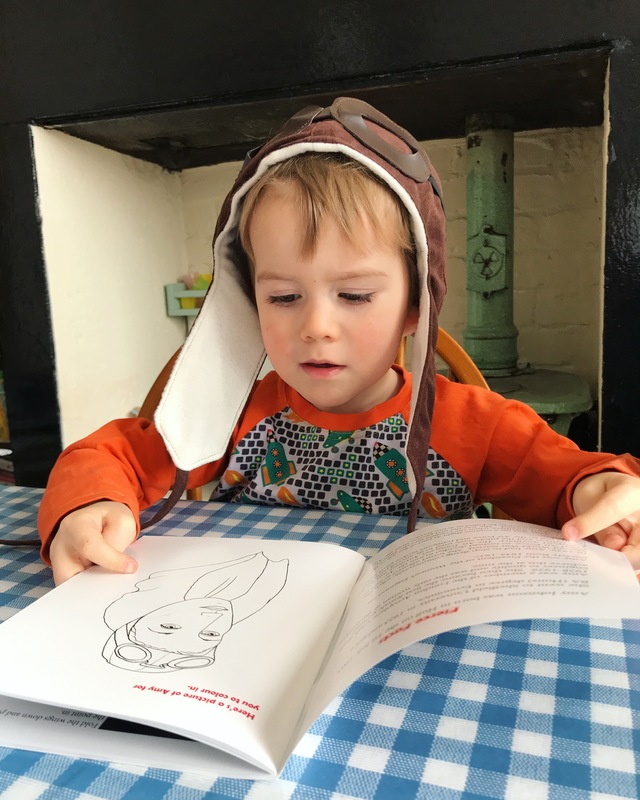 I know Oskar (age 7), who is really fascinated by space at the moment, would love the astronaut hat, and Mr Fox (age 3) quickly claimed the pilot hat as his own. Let’s take a look at the Amy Johnson box first. The experiment consisted of folding four different kinds of paper aeroplanes, then letting them fly and comparing their performance. 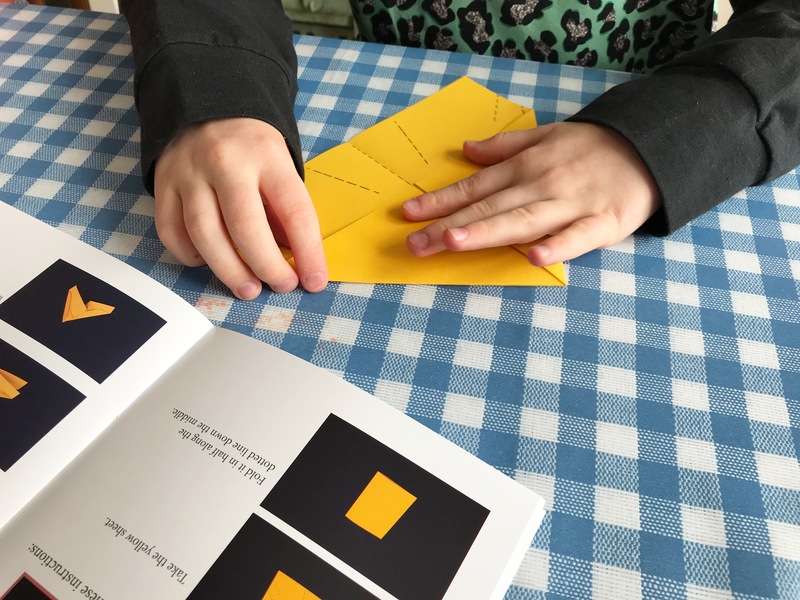 A fifth sheet of paper then let you fold your own aeroplane design, based on what you had learned. 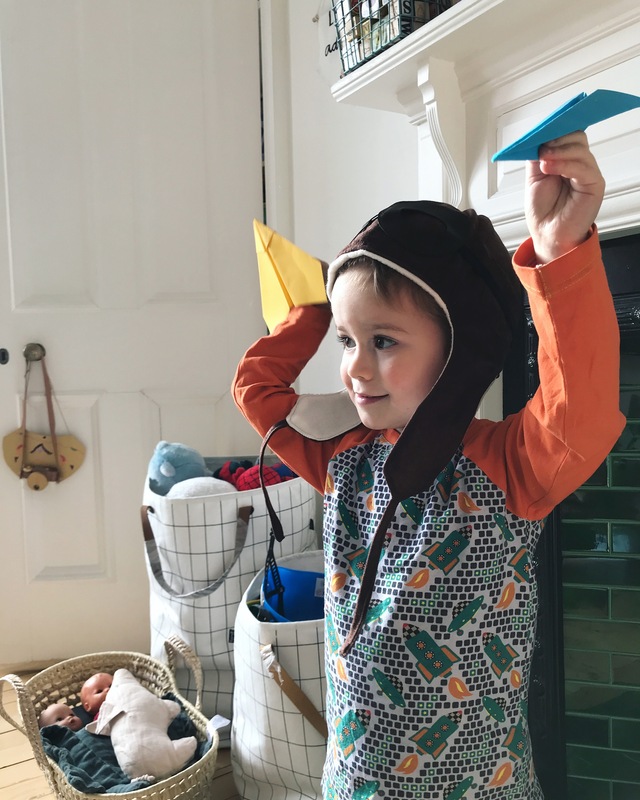 Oskar loved this activity, as he has this thing with one of his uncles, where they always fold paper planes together when they meet, and he enjoyed learning some new planes to fold. The actual folding part was a bit too difficult for Mr Fox, but he joined in whole heartedly in letting them fly at the end. The Amy Johnson activity book included pages to colour, a cut out paper doll, some puzzles such as a word search and anagrams, and a little questionnaire getting kids to think about what they would do if they were a pilot. We haven’t finished all the activities yet, because we didn’t just want to rush through it all, so Oskar is keeping some of it for the next time we are stuck indoors. 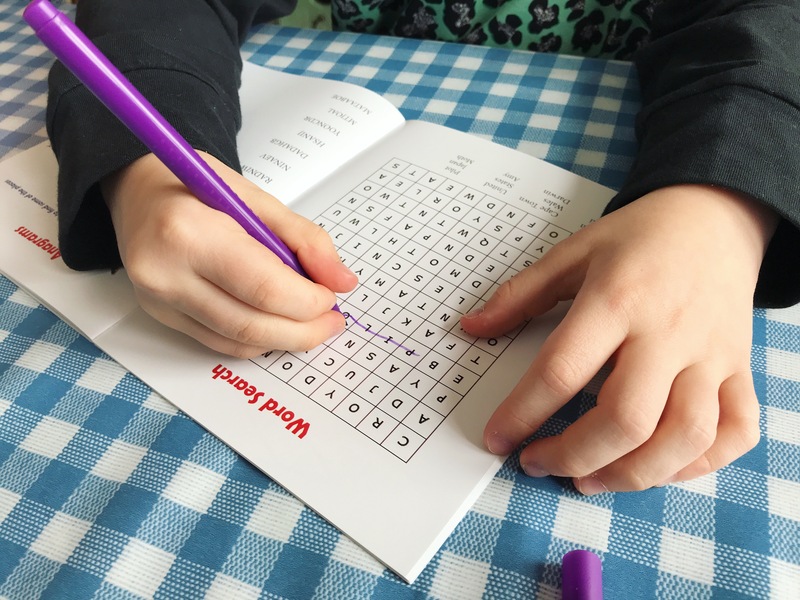 The activity book also contains key dates and facts about Amy Johnson (1903 – 1941), a map reading exercise, information on how planes fly, an interview with a modern day female pilot, and a glossary. There is definitely a lot in there to keep you going for a while. 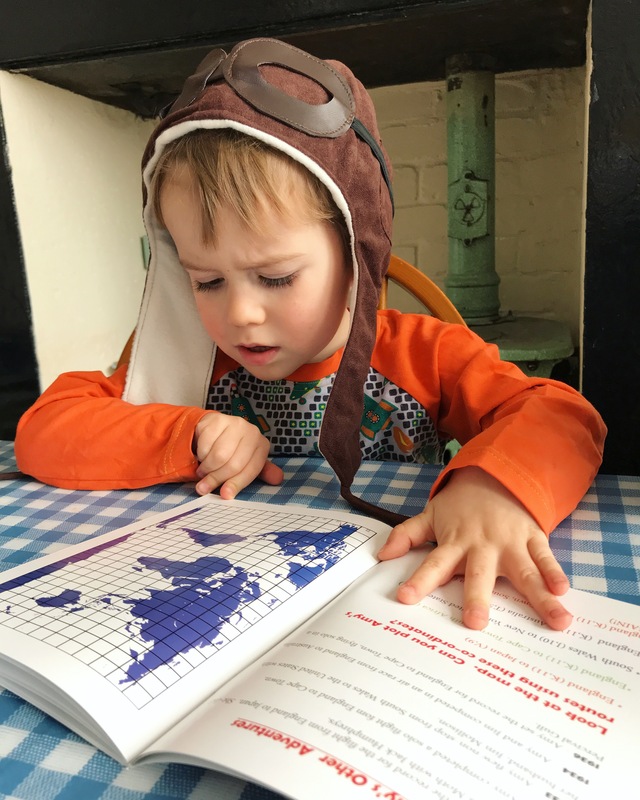 Oskar also made the connection between Amy Johnson and Amelia Earhart, another pioneering female aviator who features in the book I mentioned above. So now he wants to find out some more about both of them! Next, we took a look at the experiment inside the Mae Jemison box, which involved building a rocket. 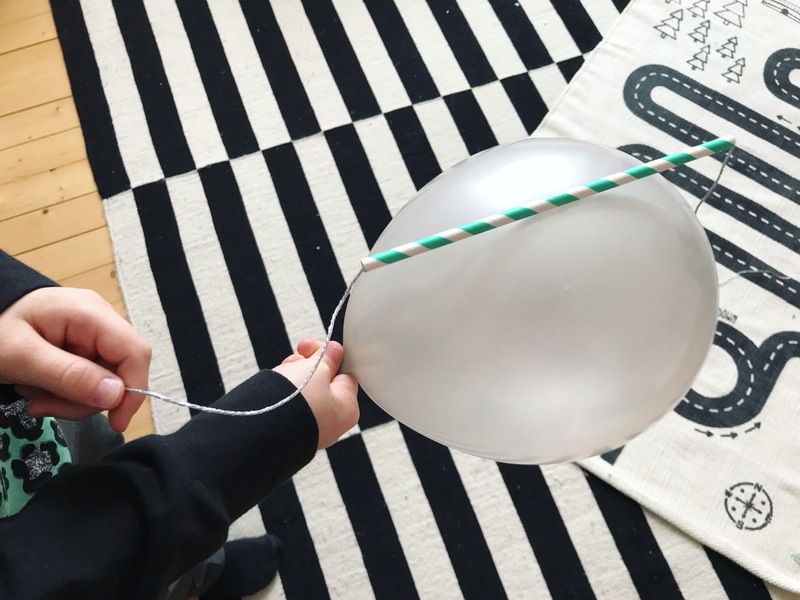 First, we attached two different shaped balloons to a straw – first a round one, then a long one – and let them fly along a horizontal piece of string by blowing them up and then letting out the air. Then we used an empty plastic bottle and the materials provided in the box to build a rocket around the long balloon, and let if fly again. Lastly, we repeated the experiments but with a vertical piece of string (which involved mummy climbing on to the top bunk bed to hold it up). The aim was to compare how far each rocket goes, and to think about how big and heavy a real rocket is and how much power is needed to lift it in to space. 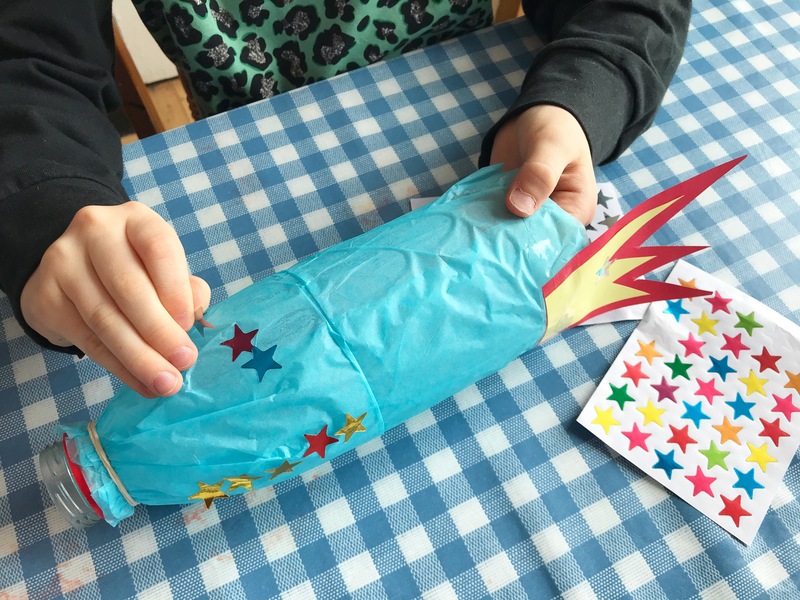 Both boys got involved in decorating the rocket and letting it fly. 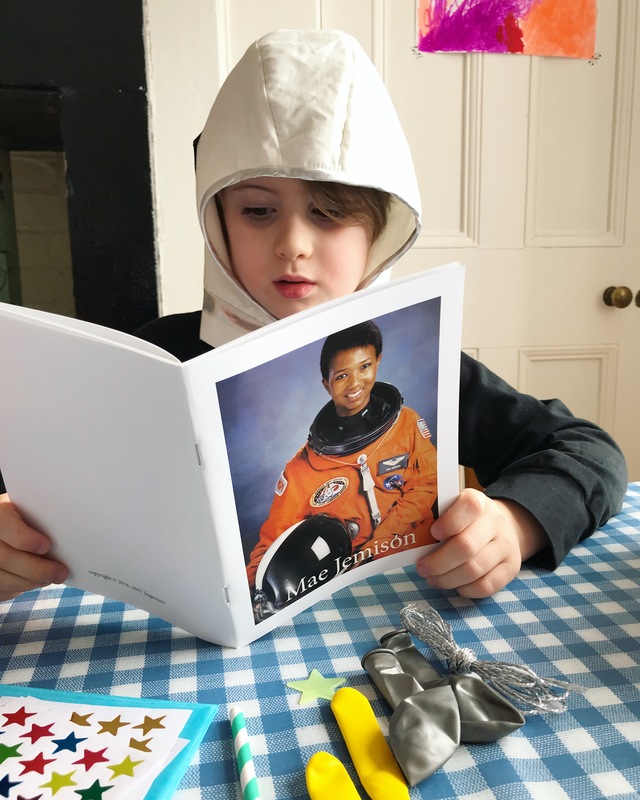 Much like the Amy Johnson activity book, the Mae Jemison one includes colouring pages, a cut out paper doll, a word search and a glossary. There are also key facts about Mae Jemison herself (born 1956), and about astronauts and rockets in general – Oskar was fascinated by the fact that astronauts see a sunrise every 90 minutes – as well as about the Mercury 13 team of women who trained as astronauts in the early 1960s, and an interview with a modern day female space operations engineer. I have to admit, I had myself not heard of Mae Jemison or the Mercury 13 before, so Oskar and I both learned a lot from working through the activity book. Overall, I was really impressed with the boxes. 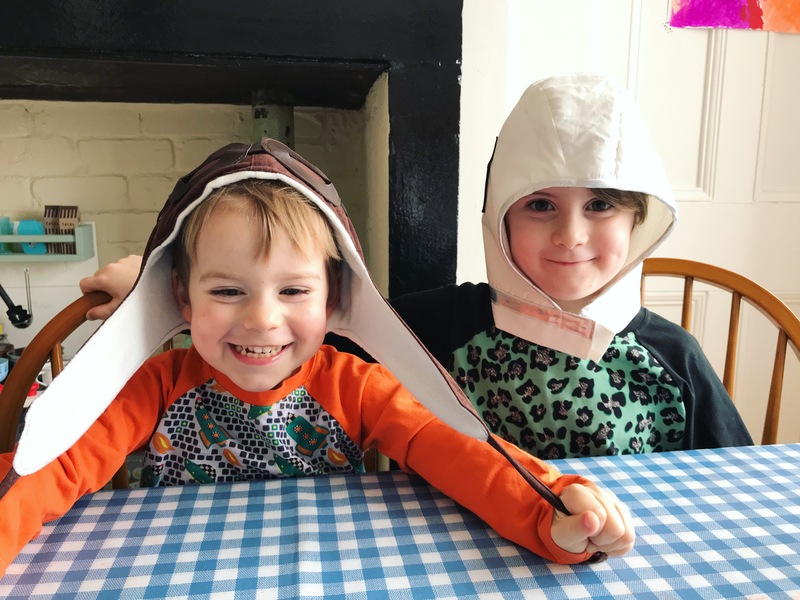 The experiments were an excellent way of introducing the topics and female role models, the activities and puzzles kept Oskar engaged, and for my dressing up loving kids the hats were the cherry on top. 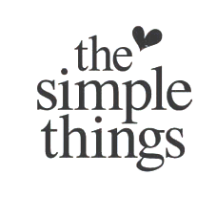 They are of great quality and hand made, and everything is beautifully packaged up. 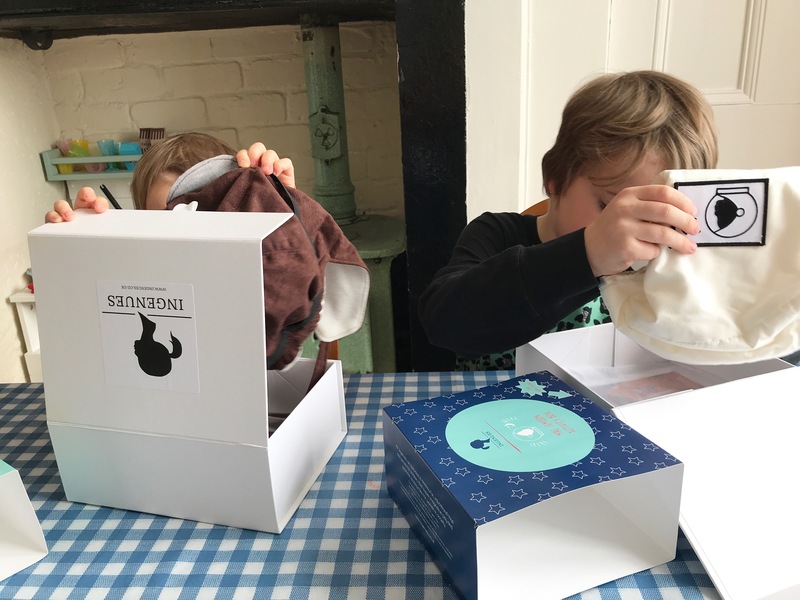 The boys were a little bit in awe as they opened the boxes, and we will be re-using them so that each of them has their own box to keep little treasures in. 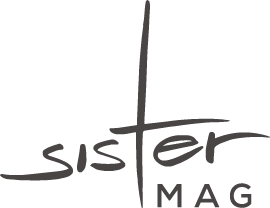 Ingenues is based in the UK, and the boxed are produced using local makers and manufacturers. Other boxes available, to date include confectionary pioneer Mary Ann Craven (1829 – 1902), and British-Jamaican business woman and nurse Mary Seacole (1805 – 1881). All boxes, activity kits and hats can be purchased via the Ingenues website. 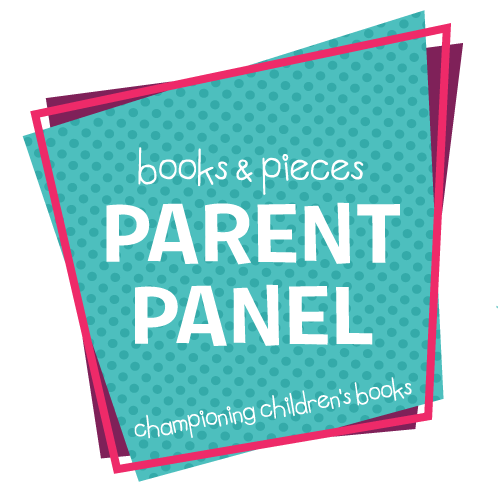 Edit: Isla would like to offer The Bear & The Fox readers a 20% off discount! Just use the code BEARANDFOX when placing your order at http://www.ingenues.co.uk for it to be applied. 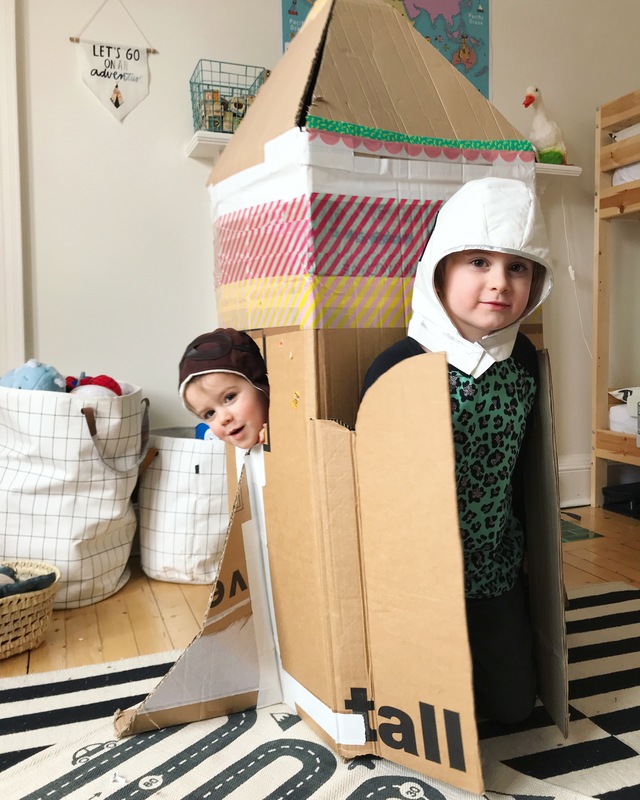 Disclosure: We were sent an Amy Johnson and a Mae Jemison activity box free of charge, in exchange for an honest review. However, all images, words and opinions are our own. Please also note, that if you buy a book via the affiliate link I receive a small percentage – at no extra cost to you! 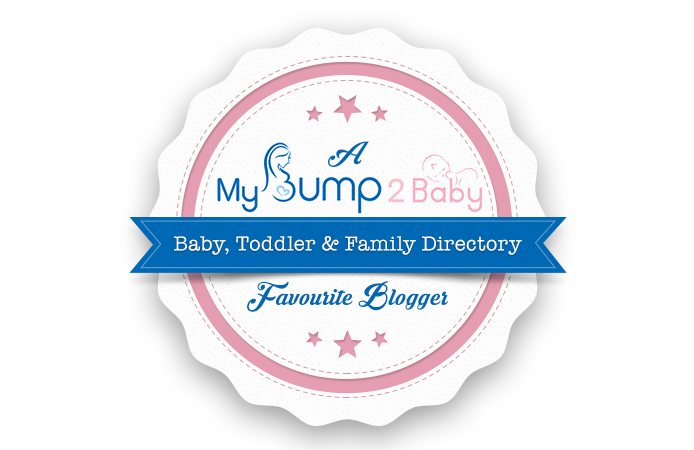 – which helps to keep this blog running. 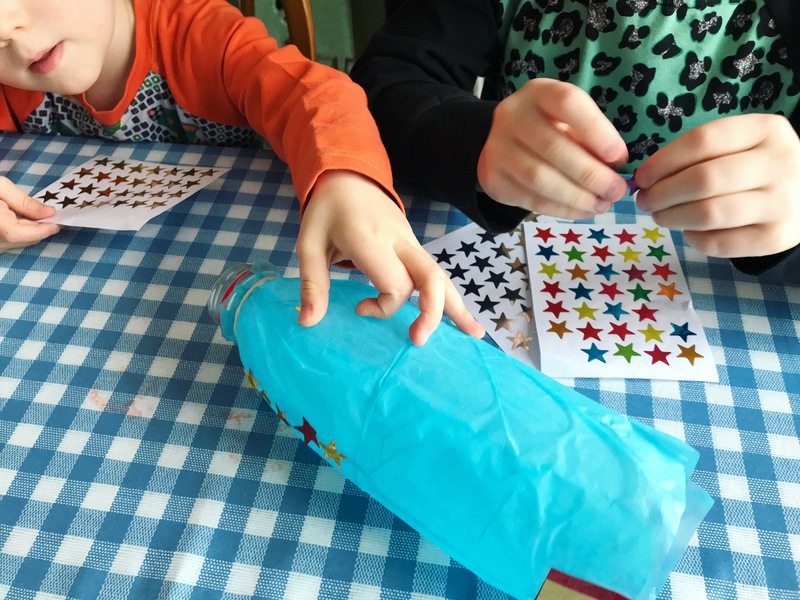 Love these – what a great idea for activity kits! And I whole-heartedly agree that it’s just as important to teach boys about inspirational female figures too. Will have to check theses sets out – they look fab! These boxes sound amazing and I’m so glad that something like this exists. I love how so much effort and detail has been included in the boxes, making it really interesting and hands on at the same time. Fabulous idea! Oh this is incredible. It looks much more interesting than the bog standard boxes I see everywhere. My eldest would adore this. These boxes sound brilliant. What a novel way to introduce children to story historical female figures. I must admit I hasn’t heard of Mae before your post either. 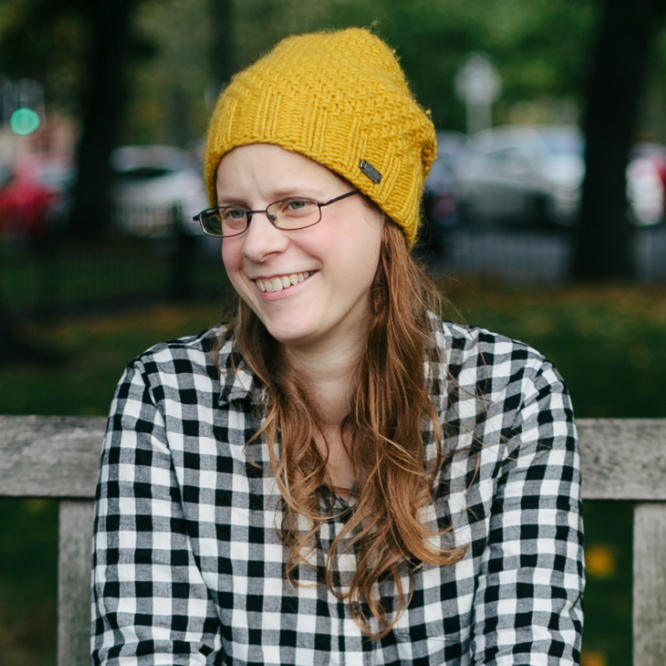 I’m Isla, the woman behind the Ingenues activity boxes. 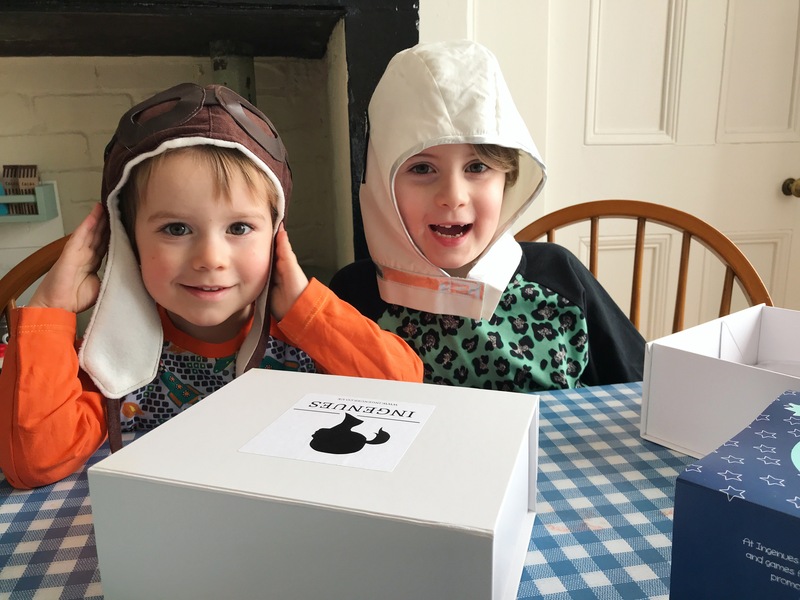 Thank you to Jenni, Oskar and the Fox for such a wonderful review of the Amy Johnson and Mae Jemison boxes. You’ve left such a lovely lot of comments that I would like to offer The Bear and The Fox readers a 20% off discount. Just use the code BEARANDFOX when placing your order at http://www.ingenues.co.uk for it to be applied. So Lovely Lovely posts. These boxes are very nice.